YMCA Northolt Grange is a 10-bed mother and baby hostel for young mums aged between 16 and 21. Warm, welcoming and supportive, this hostel provides a safe place for them to learn how to be independent. It’s run by Senior Housing Support Officer Rose Wright. 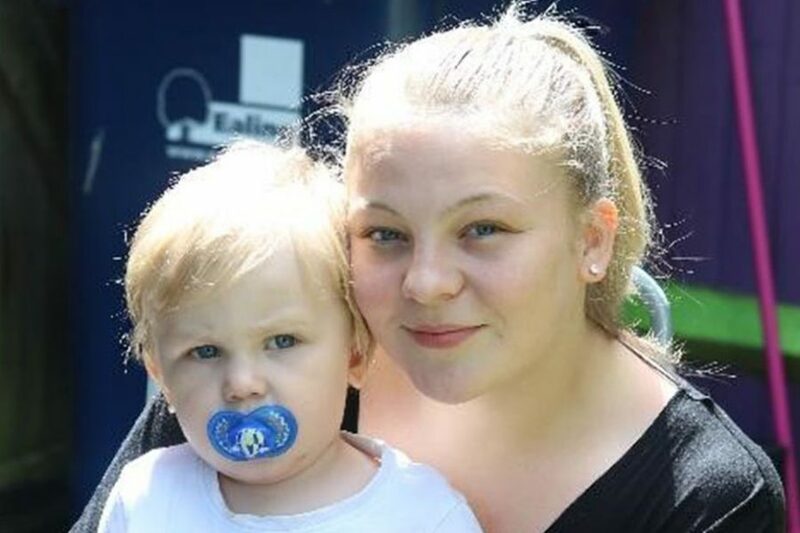 Katrina Brogden, 19, moved into YMCA Northolt Grange hostel just over a year ago when she was 18 and her son Oliver was 11 months old. She was unable to remain living in her family home with her baby as it was overcrowded and unstable as her sister was suffering with mental health problems. Katrina went to the council to explain her situation, and was referred to social services. Katrina does keep in touch with Oliver’s dad, but feels the situation is tricky, and now and again she takes Oliver to see his dad’s family. Learning all about life skills, such as budgeting has been incredibly useful for Katrina, and getting to grips with life has helped her stand on her own two feet. Katrina knows that when Oliver reaches three years old, she will have to move on, and she appreciates what she has at the hostel despite the difficulties of being a single mum. “When you are on your own, it does a get bit lonely. But you have to be grateful for what you have got. Within the next year I will be ready to go and I would like to settle down in a flat and get a job.